Reservations requests can be made via our website or through specialized portals. Once availability is communicated, reservation can be confirmed by providing credit card data which will be used only as a guarantee without debiting any amount. The final confirmation is sent immediately afterwards by e-mail. The balance payment must be settled in cash at time of check-in at the apartment. Other payment means can be used upon previous agreement. Upon arrival, each customer must provide a valid identity document for Police registration. In case the room cannot be made available for causes of force majeure, “I Capocci” reserves the right to book an alternative accommodation with the same characteristics as those reserved. Should the price be higher, “I Capocci” will cover the difference. In case the customer was not to accept the alternative accommodation, “I Capocci” will reimburse the deposit excluding any other reimbursements. Unless otherwise agreed, booking cancellations received less than 30 days prior to arrival day will cause a fee of 25% of total due. In any event, it is a duty of the guest unable to come to warn us as soon as possible in order to allow renting of the room again. There is no interest of making money with fees and the we will possibly not charge the penalty in case the room is rented again. Early departures and renunciations of other kinds are not refundable. Requests for reimbursements received after the end of the period of stay will not be taken into consideration. Fares include: services and taxes, the costs of water, gas and electricity for domestic use. Breakfast only if specifically agreed. Normal Check-in time is from 14:00 to 20.00. We will come especially to welcome our guests and it is therefore important to communicate as soon as possible the estimated time of the arrival in order to take an appointment. Check-in is possible also at different time upon special agreement. We chagrge and extra fee of 20 euros after 20.00 and 50 euros after 24.00. Rooms should be checked out by 10:00 on the day of departure, unless otherwise agreed. Luggage may be temporarily stored at our place upon request. We will provide a spare entrance key that will allow the guest to pick the luggage up at the time desired. There are no fixed opening hours. Guests are supplied with a key to the room, a key to the safe and a key to the apartment door. The latter MUST BE KEPT LOCKED AT ALL TIME. The loss of the keys will be charged €250. Customers shall avoid to make noise between 13:00 and 16:30, and between 23:00 and 08:00. In no case is possible to accommodate persons exceeding the number agreed in the reservation. The host reserves the right to deny entry to those unauthorized. People not registered at “I Capocci” are prohibited from access, unless expressly authorized by the owners. Customers and/or their guests causing damage to the house or its properties will be held responsible for damage. The related costs will be charged to the customer upon departure and/or at the time of discovery. It is strictly forbidden to dispose in the toilet any product other than the supplied toilet paper (e.g. sanitary napkins of any format, cotton swabs, wet wipes, etc.). Violation resulting in damage will be charged to the customer upon departure and/or at the time of discovery. We reserve the right to access the rooms to carry out the necessary cleaning services and other maintenance activity. The entire property is a NON SMOKING ENVIRONMENT. Violators will be prosecuted according to the rules of law detailed in the affixed postings. In order to contain costs (which determine the price of rooms), please turn off the lights, televisions and other electrical devices after their use. Water is a precious commodity, do not waste it! In case Italian breakfast is included in price of the room, it will served at a coffee bar nearby. Unless otherwise agreed, the use of the kitchen and the consumption of meals are not allowed. Initial cleaning will include: change of linen, change of towels, cleaning of the bathroom, cleaning of the room. Privacy wishes of customers will be taken into consideration during cleaning days. Maximum hygiene is ensured at all times. Air conditioning equipment is installed in whole apartment. Operation is only allowed between 8 am and 11 pm in order to avoid noise pollution for the neighborhoods. Valuables, personal documents and room keys shell never be left unattended in any part of the structure. Guests are requested to return the keys at the end of their stay in the key box located nearby the exit door. In order to improve security for all guests, some areas of the apartment are subject to remote video recording. The B&B declines any responsibility for damage caused to the customer by events related and unrelated to the use of the apartment, including personal and property damage, theft, or other types of criminal acts. It is explicitly declined responsibility on valuables and documents left in the room. Disputes concerning reservations and room rentals are subjected to the Italian Law, with the Civil Court of Rome holding territorial jurisdiction. “I Capocci” will use personal data exclusively to fulfil the legal obligations associated with the restaurant and hospitality business. Article 13 gives you the right to access your data and request corrections, integrations and, under appropriate circumstances, their removal or suspension. Acknowledging the above, the customer authorizes the treatment and communication of his personal data, within the limits specified by this information, by signing off the registration document. 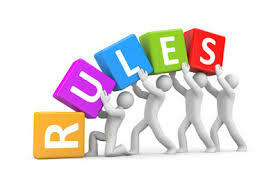 Undersigning the booking and/or registration document also implies knowledge and acceptance of the above listed rules which become contractual terms.